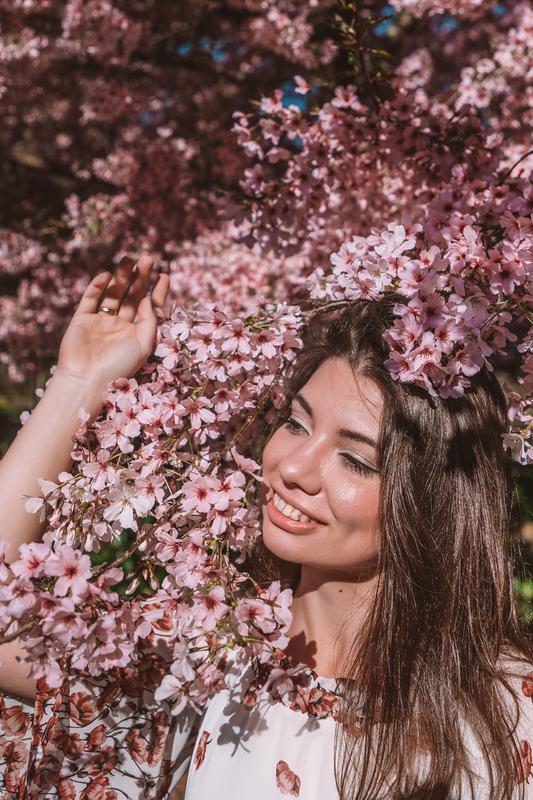 The simpliest actions, like walking to work every day, become more positive with a cherry tree or two is spotted in someones yard along the road. It’s so nice to see how many people appreciate their beauty and plant them next to their homes. 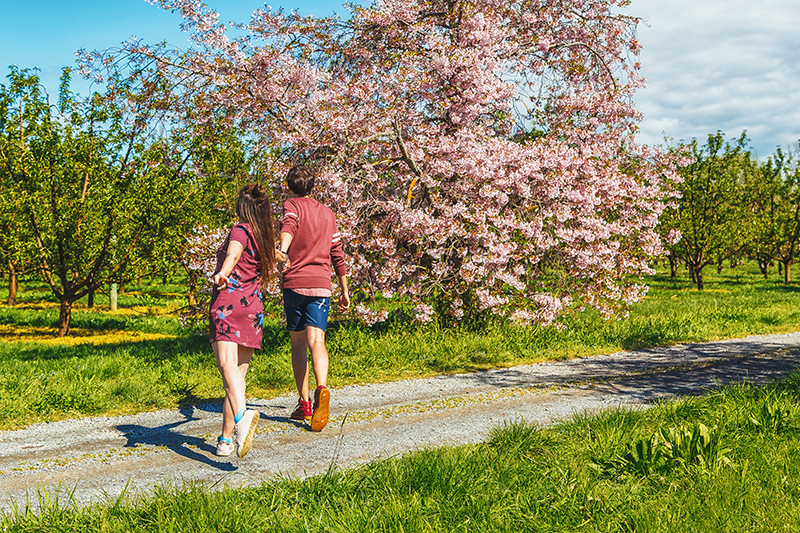 Unfortunately, blossom period is so short – last year we’ve nearly missed it! 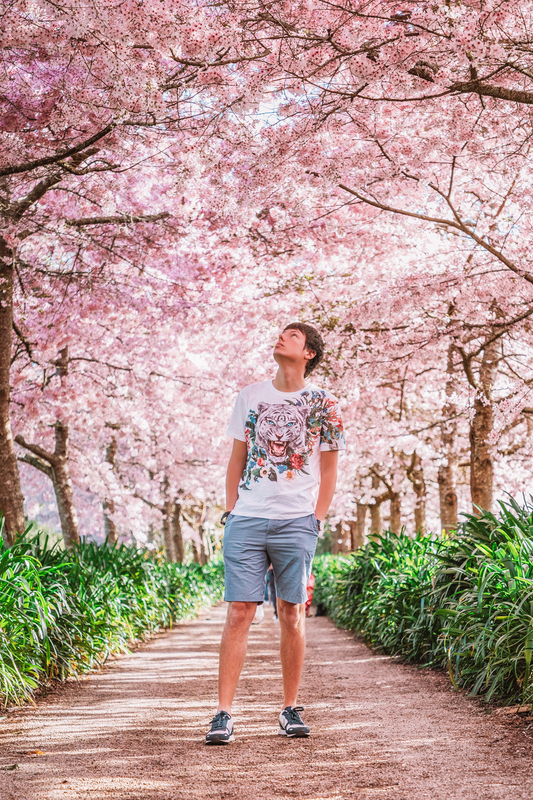 This year, we were invited to Waikato Cherry Tree Festival – an event, that flooded Instagram with pink photos last year. Huge interest from my friends (and the amount of advertising on Facebook!) made me think this event is sort of a legendary thing for a region, organised for many years in a row. Imagine my surprise, when I realised it was only launched last year! But let me share a story I can’t stop laughing about for a few days in a row now. Apparently, the event is held at a private farm. The owner of this place, kind and welcoming man Paul, planted cherry trees along his driveway around 15 years ago. Within the year they grew big enough to form a beautiful arch over the driveway. It wasn’t long before local photographers and nature lovers started to secretly invite themselves to take a few photos on a private territory. Paul had even spotted a wedding group on his alley once! Obviously, all these people had to run away as fast as they could as soon as Paul made his appearance in the window, haha. Seriously, isn’t that just the most hilarious thing to imagine? 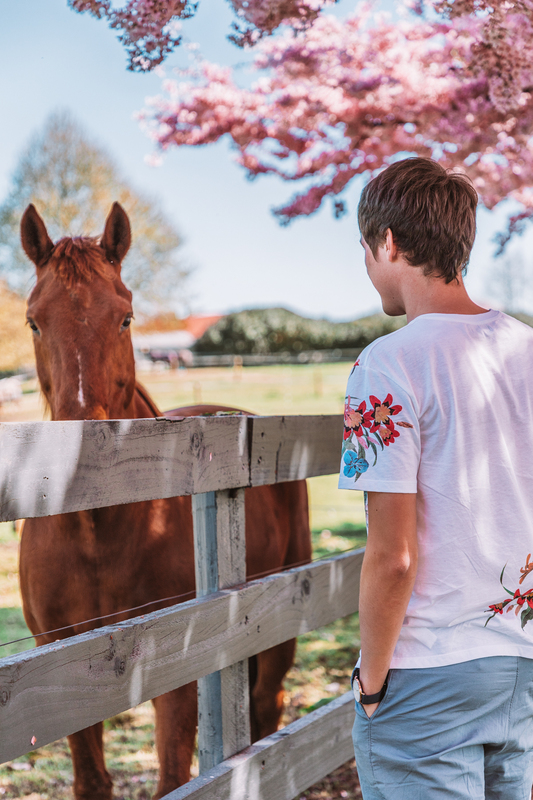 So, last year Paul decided to officially open his farm to public for a few days. Giving everyone a chance to legally enjoy the beauty of his garden was a perfect solution! He placed an ad on Facebook, expecting around 200 visitors and received… 2,000 bookings in the first few hours!! This year this number skyrocketed to 5,000! What makes Pauls’ driveway such a stunning location to capture is this gorgeous arch. 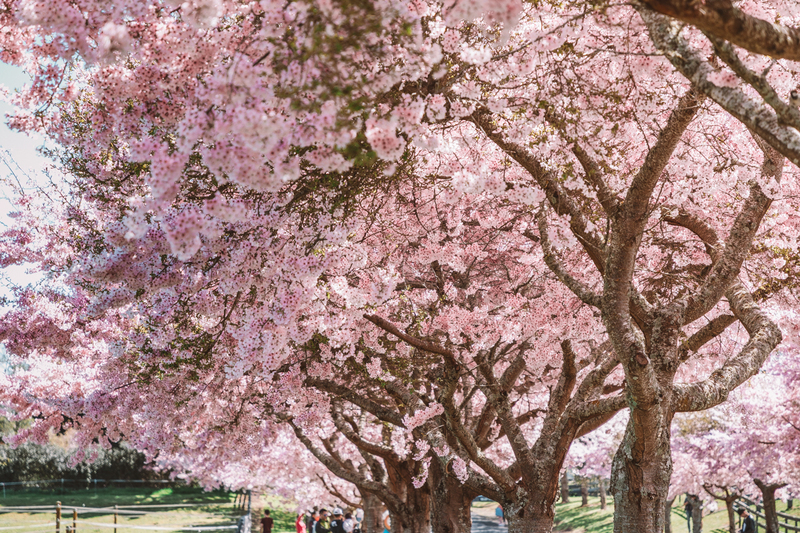 Trust me, there’re thousands of cherry trees to admire around the country, but far not all of them are so photogenic. If you’re ready to sacrifice arch in favour of less crowded and free of charge photo opportunity, make sure to visit Cambridge. 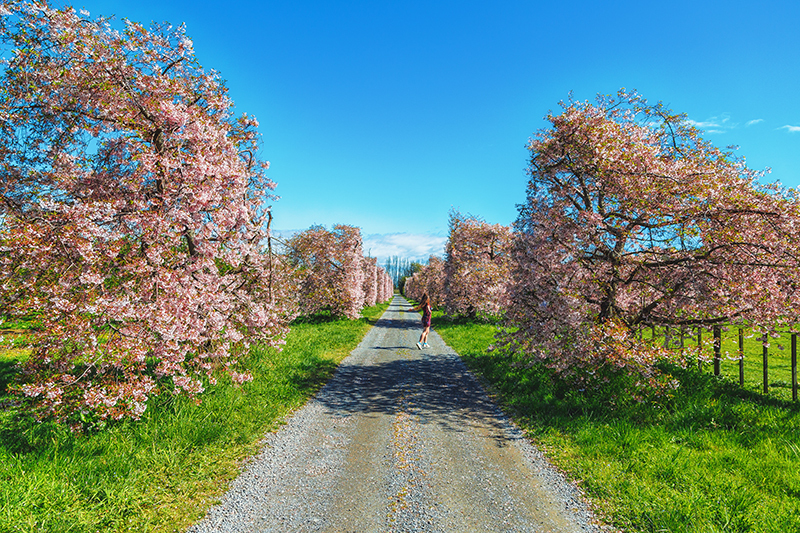 This coolest little town boasts cherry tree alleys. And no matter how many people are already hanging out around, you’ll still be able to snap a pic with no one on it easily. 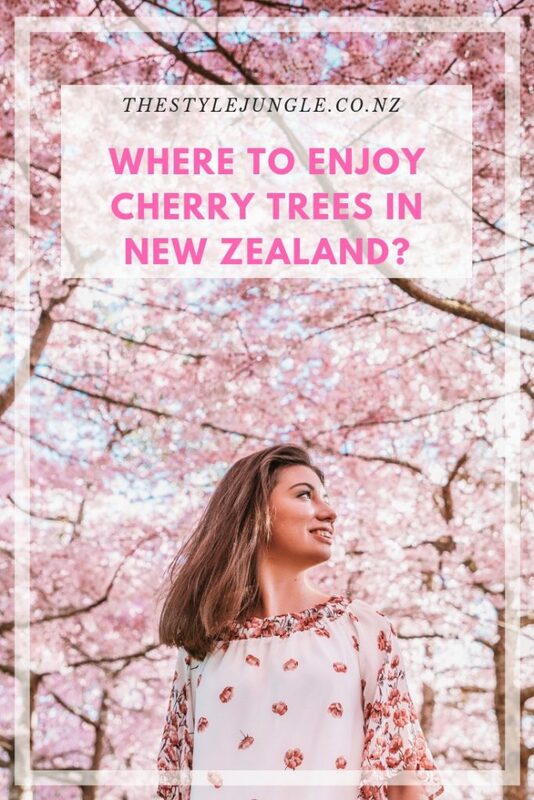 Another not to be missed cherry tree spot is located in Hawke’s Bay, right where you enter Hastings on your way from Napier. I’m still not 100% sure we didn’t behave like Paul’s unwanted guests here and it wasn’t a private driveway. 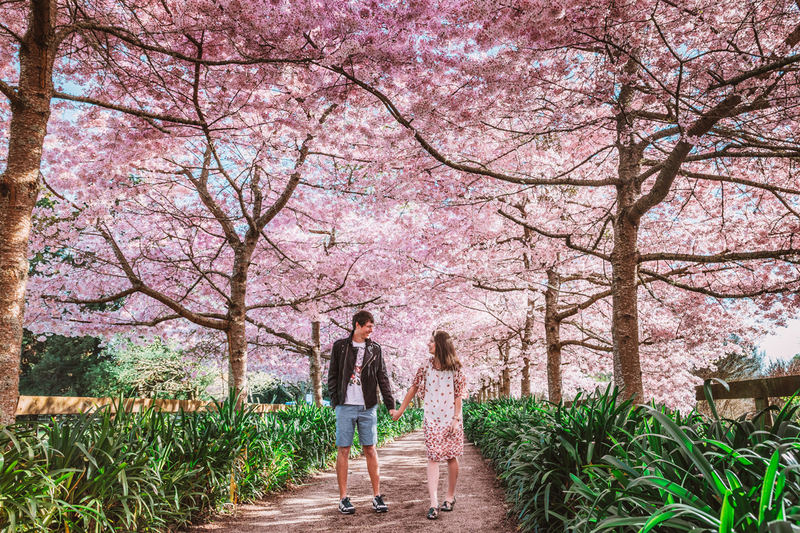 But in case it wasn’t indeed, this location is definitely worth visiting – it’s impossible not to fall in love with the unusual shape of the local cherry trees! 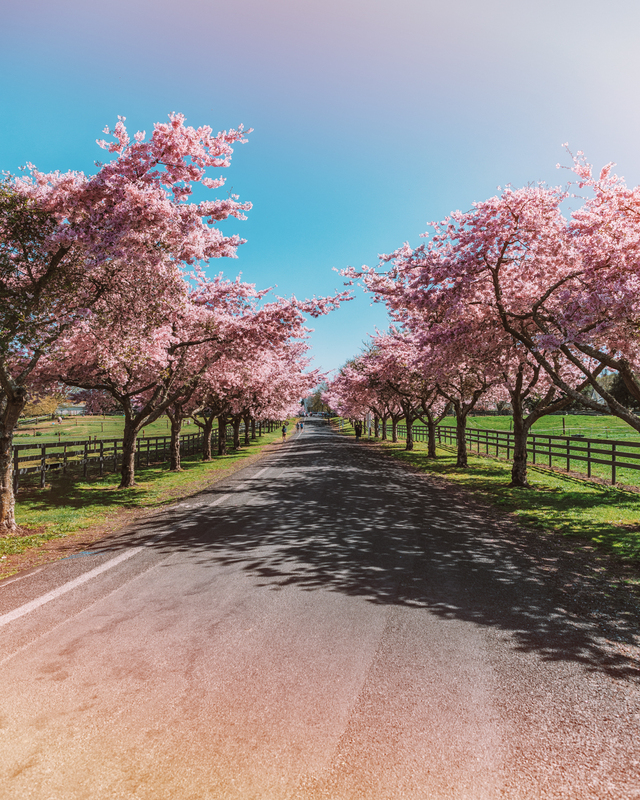 And where is your favourite cherry tree place around the country?